It’s not a hidden fact that as a population, we’re slowly destroying our planet with pollution. By 2050, there will be more plastic in the ocean than fish, which is an utterly terrifying thought. Whilst we can’t save the world single handed, we can make little changes to work as a powerful human team! 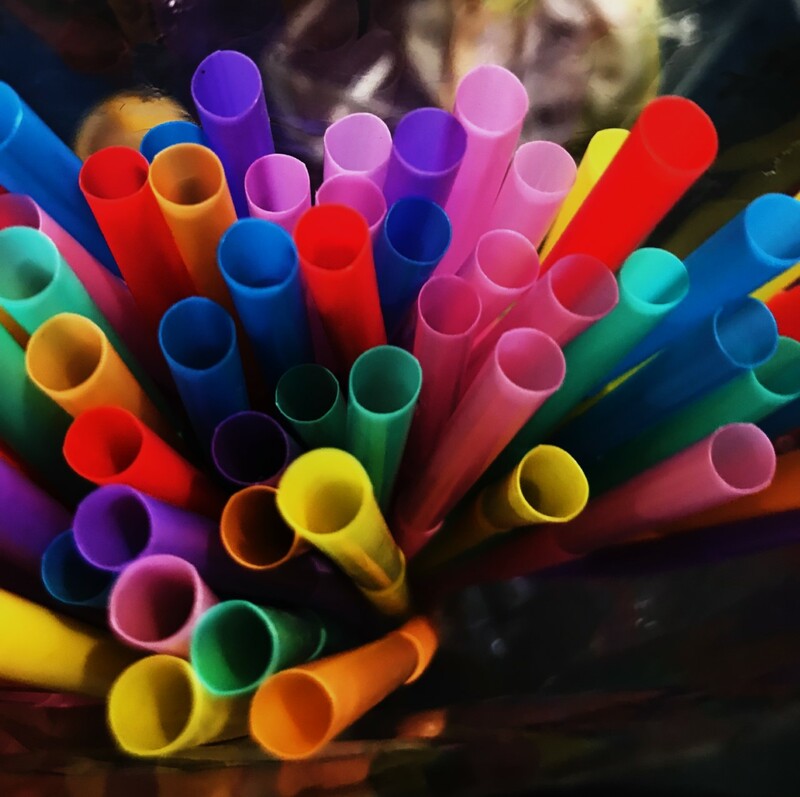 A topic on fire in the media recently is the damage caused by the use of straws. It’s scary when you realise how dependant we are on such an unnecessary accessory: fast food drinks, bars and restaurants. Most of the time, we don’t need a straw, it’s just there! Straws are polluting our oceans and killing marine life. By simply just saying no, or carrying a reusable straw around with you (a metal straw is just 99p on ebay! ), think of how many straws you could prevent floating in the ocean in just a year. Like the straws, takeaway food and food on the go often is placed in plastic containers with the option of plastic cutlery. Not only is it just the worse because it snaps in your dinner, it’s also killing off the fishes and marine life of the seas. It’s so easy just to carry a spare set in the bottom of your bag. Invest in a reusable cup / water bottle! Not only is this money saving, it’s plastic saving too! A small investment from just £3 (depending on how luxurious your bottle will be) can get you a bottle with up to a 6 months or longer life. With each bottle of water costing around 50p, if you had just one a day, you could be spending around £90 on water! Bring your own shopping bag! Again, such a simple trick whilst saving some pennies in your pocket. Not just marine life, but many animals including birds, can get trapped and suffocate to death in plastic bags. Keeping tote bags in your car, your handbag or in your kitchen are an easy way to keep them on hand and read to fill up with goodies. So so SO simple, but introducing recycling into your daily routine (if it isn’t already) can not only reduce waste and the bulkiness of your rubbish bins, but most councils have excellent recycling interventions to send the correct materials to the correct place. Don’t forget to recycle your food waste too. This is more difficult than the previous steps, but gradually introducing eco-friendly and plastic-free produce into your lifestyle will have the most incredible impact on the environment. You’d be surprised how much plastic is in your life. Make up, DVDs, board games. It’s scary. Whilst we can replace every single item we own to one that is made from plastic, we can make small changes. For example, Pela sell eco-friendly phone cases and for festival season, simply opt for biodegradable glitter to look glam. When doing your next food shop, look around you. Stop. Think. How many items that you purchase are using plastic, often much unnecessary plastic. Can you opt for plastic free alternatives? Purchasing fruit and veg is easy without plastic, especially for lower prices at local markets and greengrocers. Meat from butchers? Milk from the milkman? Plastic free doesn’t need to be costly. Whilst I’m no expert, I believe strongly in the importance in sustainability, saving our planet but most importantly, being realistic as a consumer. I hope you take up a few of these little plastic saving tips if you haven’t already! Previous Post Good for the Soul vs. Body?